Welcome to Kazakhstan, a beautiful big country with warm and friendly people! The 9th largest country in the world, with everything from mountains as high as seven thousands meters to lakes as large as the sea and vast steppes in between, has many amazing wonders, admirable places and good traditions that will make you love Kazakhstan and never forget it. This land has fascinating (at times sad) history that is shared by a hundred of ethnic groups and which has created a strong nation with unique culture and friendship that bounds people of this country and leads them together into the future. No matter if your visit to Kazakhstan will be long or short, you should learn about the country before coming here to fully enjoy your stay and understand people around you. 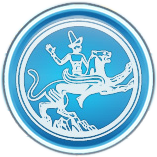 Here we offer you a list of websites that provide some information about Kazakhstan. In the list you will find only reliable sources that will give you the most current and accurate information about the country. Wikipedia is the largest and the most reliable source of knowledge available on the Internet. It's description of Kazakhstan is comprehensive and accurate. Plus, the article is available on multiple languages. It should be your starting point in learning about Kazakhstan. Read it now. Wikitravel is a guide that is created specifically for travelers, which means is has many unique facts about the country that you will not find anywhere else. Some information you should pay close attention to includes: means of traveling to the country, list of countries where citizens need a visa and money exchange rates. We recommend that you read this article very carefully. Do it now. The official website of the President of the Republic of Kazakhstan will help you to get hold of the latest developments in the country's politics and learn about the latest political and social events. Visit it now. On the BBC News website you can find an independent profile on Kazakhstan. Study it now. The British Foreign & Commonwealth Office provides some good summary of the safety and security in Kazakhstan. This information is intended primarily for the citizens of Great Britain and Commonwealth countries, but could be useful for everyone. Estimate your security right now. Despite how tempting it might be, we strongly encourage you not to make any jokes about Borat when you are speaking to local people. You should know that this movie is officially banned in Kazakhstan, and depending on who your companion is, you can offend them by mentioning Borat or making any inappropriate comparisons. If you believe that anything shown in the movie is true, you should read this article published on the USA Today website. If you feel overwhelmed with information or still have some question, do not hesitate to use the Contact form on our website to write directly to the organizers of the Olympiad. Do let us know if you have found some additional information that you believe would be useful to others, or if you have spotted an error in the text above. We look forward for your feedback.